Intimate scenes in nature and life. Saint Benedict's Catholic Church (also called simply The Painted Church) is a parish of the Roman Catholic Church in Honaunau, Hawaii. 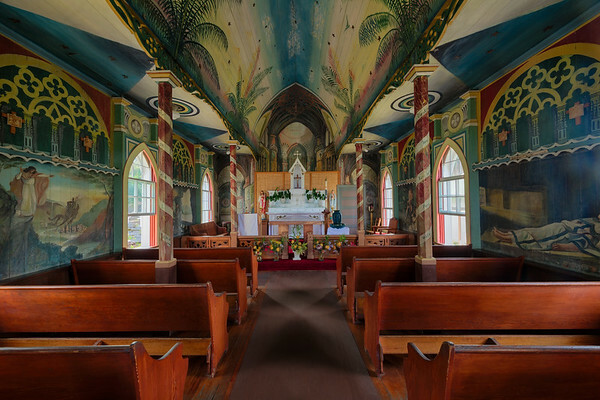 It was built between 1899-1902 under the direction of the Belgian Catholic missionary Father John Velghe, who then painted frescoes along the interior ceiling and walls. An untrained folk-artist, Fr. Velghe depicted various biblical scenes, as way of communication to churchgoers of different dialects.